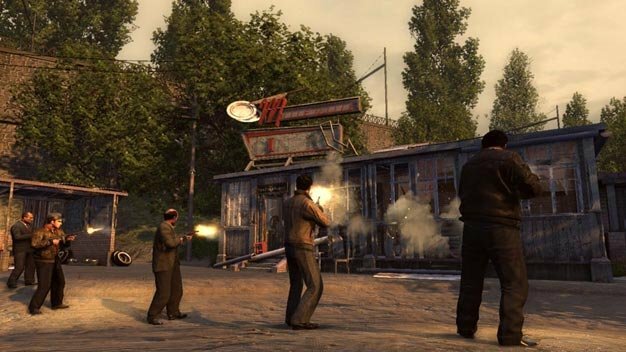 The 2K Czech-developed Mafia II has been dated for a late summer release, mothership and publisher 2K Games has announced; the PlayStation 3, Xbox 360 and PC-bound title is set for an August 24 release in North America and August 27 in the UK. The screenshots below accompanied the announcement. Previously expected before July, the oft-delayed title went through its most recent slip just a few weeks ago when it joined Max Payne 3, Civilization V and the 22,000-page L.A. Noire on the company’s August-October slate. If the “no other open world city comes close” promises end up ringing true though, the wait may have been well worth it. Also, boom boom boom boom.